Sydney Shop Girl: Donna Hay's Lychee and Raspberry Champagne. Swish Champagne Flutes. Donna Hay's Lychee and Raspberry Champagne. Swish Champagne Flutes. I have made an actual recipe from the 2014 Christmas edition of Donna Hay's magazine. 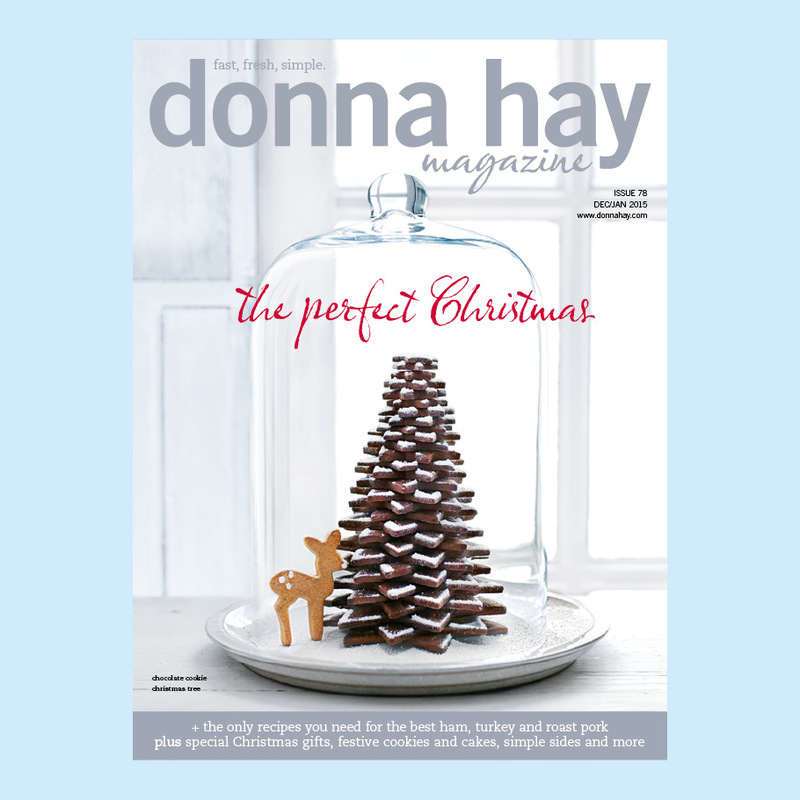 Every year, the Christmas issue drops with a heavy thud into my letter box and I open the wrapping to reveal Donna's glamtastic view of Christmas in all its perfectly styled and glittering perfection. I sit back and savour each beautiful page before putting the magazine on the coffee table and promising myself I'll return to it the week before Christmas to create my shopping list based on my favourite recipes from the issue. Somehow, this never actually happens. I'm usually so frazzled from wrapping up gifts and the loose ends at work that 'tried and tested' rather than 'Fast. Fresh. Simple'. So that pre rolled turkey breast goes into the trolley at Coles, a mega batch of rum balls gets whipped up the night before Christmas Eve and I hit up Costco for $45 bottles of Moet on the way home from work on Christmas Eve itself. This year, however, things have been different. It's going to be a special gathering for our family so I'm rehearsing the drinks we will be having on Christmas Day. Which is where Donna Hay comes into things. When I found this recipe for Lychee and Raspberry Champagne in the magazine, it was obvious that this was going to be the beverage for Christmas 2014. What's more, I could even do a test run before the day just to make sure it tasted as good as it looks. First things first. The lychee puree. All you need is a tin of lychees in syrup and stick blender. No fussing with sugar syrups or finely chopped fruit necessary. I reserved some syrup from the drained fruit in a little jug before blitzing the lychees. I didn't use the whole can, this being a test run. Four lychees seems to be enough for one glass of champagne. After the lychees have been blended into a puree, strain through a metal sieve, discarding the residue. Then stir the sieved puree into the reserved syrup and chill. With Toddler SSG out and about and free range at this year's Christmas lunch, proper glassware was always going to be a bit of a safety hazard. Which is where these polycarbonate champagne flutes from Swish Plastic come into the equation. They are $6.95 each, unbreakable and dishwasher friendly. That would be a win, win and a win for anyone hosting a Christmas do with lots of children involved. Swish Plastic also stock a complete range of unbreakable glasses with delivery $10 for orders under $100 and free for orders above. To ensure delivery for Christmas, Brad has advised that you place your order before December 15. Champagne flute from Swish Plastic, $6.95 each. The flutes feel substantial to hold. They aren't as flimsy as disposables but obviously don't have the weight of your fancier glass flutes but the stress they save over the fear of broken glass more than makes up for this. But back to the champagne. To assemble each drink, pour a little lychee puree into your champagne flute and top with your choice of champagne or sparkling wine. Then garnish with a raspberry or two. As an aside, they are rather exxy right now. $8 for a tiny punnet!?! But Christmas is only but once a year. This really is such a refreshing and slightly different way of serving holiday champagne. And with so little effort required for a pretty fabulous looking result. Thank you, Donna and have a lovely weekend, everyone! Thanks also to Brad from Swish Plastic for his provision of the champagne flutes used in this review. I am loving Aldi and FYI Raspberries there were $3.99 per punnet. You are welcome. Aldi do a line in Champers too, have you tried it? Thanks for the tip on raspberries, Cilla! No, I haven't tried Aldi Champers. It does sound promising though. Sounds delicious I may give it a go at our boxing day celebrations.